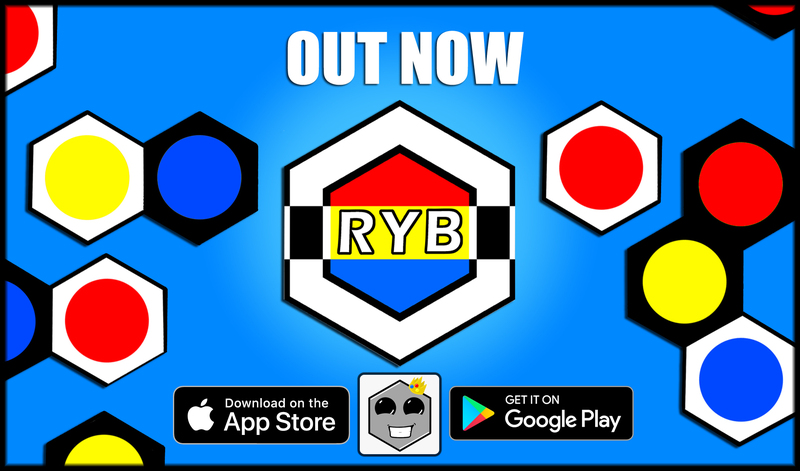 RYB is a Two Player Game where the goal is to have the most tiles on the board by the end. Each player has 9 tiles, you each take it in turns to places your tiles on the board, capturing each other tiles in the process or retaking your own tiles. During the game, the two opponents take turns to place one of their tile pieces onto the board. Once placed, the piece can no longer be moved. 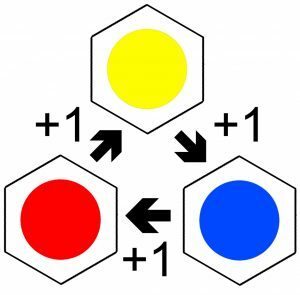 One player “White” has pieces with a white edge, the other player “Black” has pieces with a black edge around them. Out Now to Android™ on the Google Play Store and IOS on the AppStore. Send me a message, sign up to the Newsletter or just save my email for future reference.